The Nissan Rogue is a front-wheel-drive crossover SUV, medium-sized between the compact Juke and midsize Pathfinder. Rogue competes against long-time winners like the Honda CR-V, Subaru Forester, Ford Escape and Mazda CX-5. We find Rogue comfortable and versatile, with an optional third row of seating and available all-wheel drive, but powertrain and handling are unexciting compared with competitive models. Rogue was introduced for 2014. The 2017 Nissan Rogue gets a very light update, with a tweaked grille, LED lighting, and upgraded interior trim. 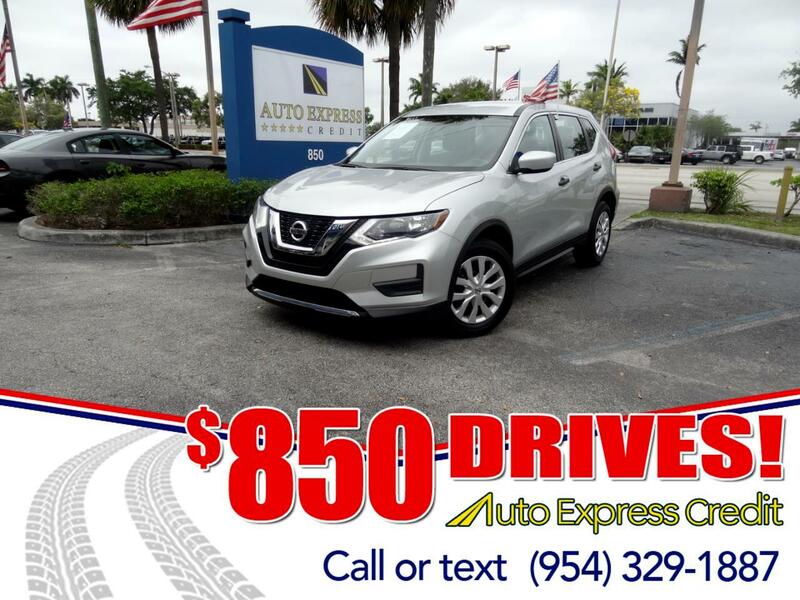 The Rogue comes standard with a 2.5-liter four-cylinder engine mated to a continuously variable transmission, making 170 horsepower with 175 foot-pounds of torque, delivering mediocre acceleration. A hybrid version mates a 2.0-liter four-cylinder to a 30-kilowatt electric motor and lithium-ion batteries for 176 horsepower. It feels the same as the regular Rogue, only 200 pounds heavier, but it gets significantly better fuel economy. It competes against the Toyota RAV4 Hybrid. EPA mileage for the front-wheel-drive Rogue is 26 miles per gallon City, 33 Highway and 29 Combined, and two less mpg with all-wheel drive. The Hybrid gets 33/35/34 mpg with front-wheel drive and 31/34/33 with all-wheel drive. Rogue has earned a Top Safety Pick+ rating from the IIHS, with mostly top Good scores, an Acceptable headlight rating, and Superior front crash prevention. The NHTSA gives it four stars.